Every day industrial and trade workers are faced with the risk of injuring their most important tool: their hands. From cuts and slashes to nicks and abrasions, the importance of having adequate hand protection can’t be overstated. In fact, the U.S. Department of Labor indicates that 30 percent of workers who suffered hand injuries were wearing gloves that were either inadequate, damaged, or the wrong type of glove for the given job hazard. A stunning 70 percent of injured workers weren’t wearing gloves at all. It’s clear that both employers and workers need guidance when it comes to selecting PPE for hands, so how much cut protection is needed is a great question (learn more about proper PPE provision in Employee Rights-What PPE Does My Employer Need to Provide?). Simply put, the amount of cut protection you need varies depending on the hazards present. ANSI/ISEA 105-2016 outlines the standard for hand protection in the U.S. and ranks the cut performance rating of gloves on a scale from A1 to A9 (with A9 being the most cut resistant). The updated standard also tests for needle-stick punctures, which is particularly important in the healthcare and sanitation industries. It’s a good idea to use these new ratings to determine the appropriate level of cut protection you need rather than just opting for the most cut-resistant gloves available. Why? Gloves that offer far more protection than necessary can be too thick and bulky for the task at hand, often leading to workers discarding them altogether. Guidelines: Which Level of Protection Fits Your Job? Provide some level of cut protection versus no glove at all. These are often standard work gloves that are acceptable for many general applications without a high risk of cut. Their primary concern is basic protection and enhanced grip. Gloves marketed as “cut resistant” tend to start at the A3 level. They should have some type of technical material layer that resists cuts and slashes—and this shouldn’t just be a double-layer palm. Most of the cut-resistant gloves available fall in this range. Offer greater cut protection for high hazard work but make concessions in other areas. Dexterity, flexibility, and breathability are often affected, and these gloves often have more limited feel and flex than lower levels. Price tends to increase significantly in this category as well. It’s important to remember, of course, that these are general guidelines. When it comes down to it, the best way to ensure you have the cut protection you need is to test a material against the hazards present at your worksite. This is not only an invaluable part of a PPE program, but absolutely essential for the hand safety of workers (protect your workers with The 4 Essential Elements for Ensuring Contractor and Workplace Safety). 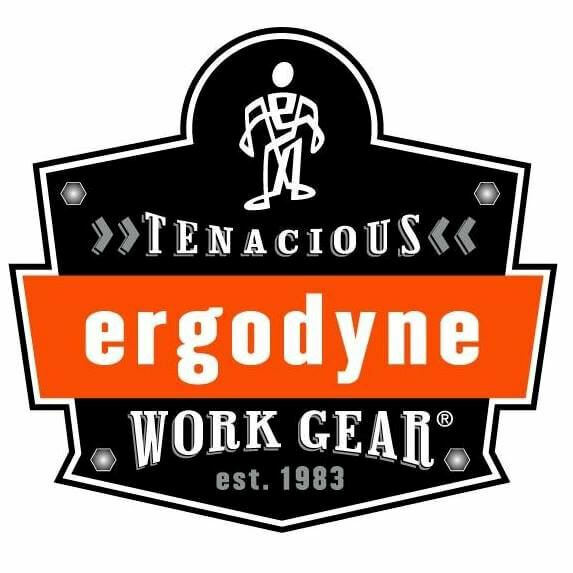 For more advice, check out Helping Safety Managers Pick the Right Pair of Work Gloves on Ergodyne's blog.